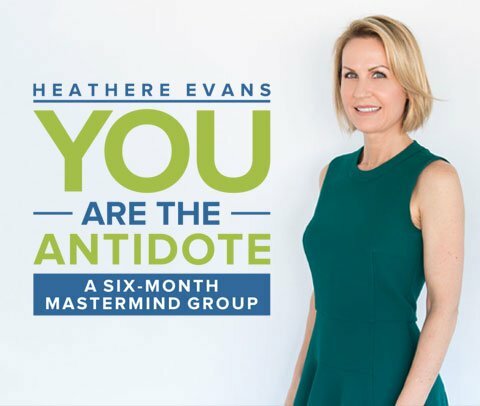 You Are the Antidote teaches key pivots you can use to up-level individual and team success.Learn tools in emotional intelligence, leadership and communications to create high-functioning work environments, manage through change, handle frustrating situations, remove self-imposed limitations, cultivate a sense of professional purpose, and access the best in yourself and others. Learn the science behind why you find yourself in challenging situations and how to turn challenge into opportunity. Learn the one technique you need to transform any situation, regain your power, and move forward with confidence. The meaning we give what happens, how we perceive it, can be our demise or the key to our success. Explore your own perceptions and where they are getting in your way. Is your past pushing you or is your future pulling you? Get present with tools that help you focus and live with intention. Learn the antidote to chonic frustration, disappointment and stress. How to access the best you yet, using the three game-changing principles. Blame and judgement hold us back from feeling good and experiencing our next level of success. Learn what forgiveness is, is not, and how to forgive without condoning. Learn how your personality is working for you, where it’s getting in the way, and how to shift when it’s holding you back. Reflect deeply on your own leadership in the office or at home, and develop your plan to lead with heart and vision. Explore success in a whole new way and identify the gifts that connect you to your purpose. 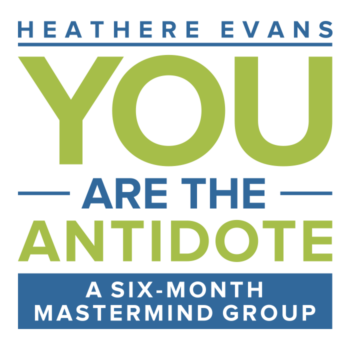 You Are the Antidote is a six-month personal and professional development course. Dates for the classes are customized with the location often a combination on onsite at the client’s location of choice and virtual meetings for coaching sessions. Register using the “Get in Touch” form on the contact page.